264 pages | 220 B/W Illus. 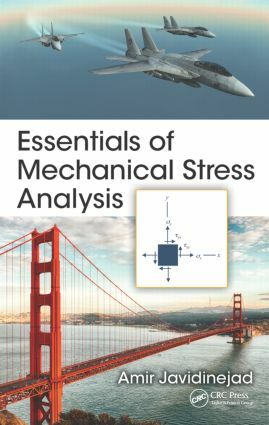 Developed with stress analysts handling multidisciplinary subjects in mind, and written to provide the theories needed for problem solving and stress analysis on structural systems, Essentials of Mechanical Stress Analysis presents a variety of relevant topics—normally offered as individual course topics—that are crucial for carrying out the analysis of structures. This work explores concepts through both theory and numerical examples, and covers the analytical and numerical approaches to stress analysis, as well as isotropic, metallic, and orthotropic composite material analyses. "I like the example and homework problems. I also like the inclusion of topics such as orthotropic materials/composite materials, fasteners and numerical methods, plus the MathCAD chapter."